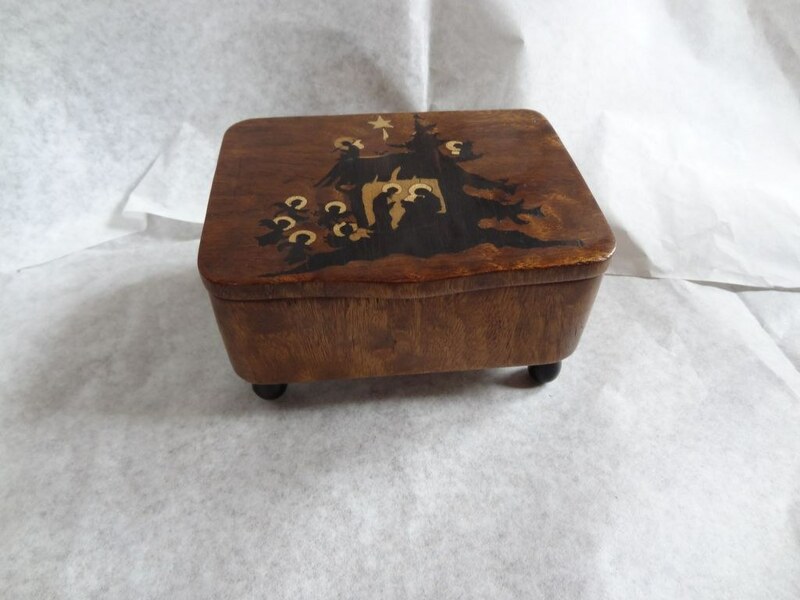 The musical box with mahogany inlays on a centrally placed lid, shows a nativity set with angels in the style of a silhouette. The motif is created with only three colour tones; in addition to black, only two cream tones. The musical mechanism, found on the inside under glass, is activated by a pulling ring on the base and plays, in addition to "Silent night, holy night" the Christmas carol "O Christmas tree". The wooden box is from the Dolezal collection, and could well have been made by Mr. Dipl. Ing. Dolezal out of an interest for crafting.